Home BUSINESS NEWS Suspects in the Barclays fake 20m US Dollars saga identified. Suspects in the Barclays fake 20m US Dollars saga identified. Four of the six suspects held at the DCI over the fake 20 million US Dollars intercepted at the Barclays Bank, Queens Way Branch in Nairobi on Tuesday. 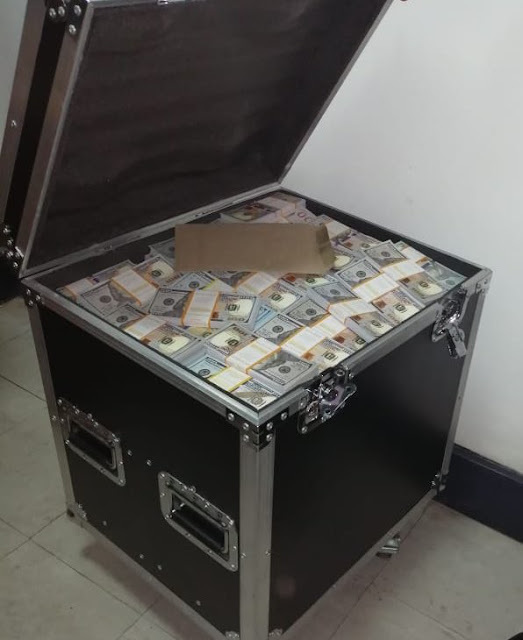 The Director of Criminal Investigations (DCI) have released the identities of the four suspects arrested yesterday afternoon at Barclays Bank, Queens Way Branch in Nairobi with fake 20 million US Dollars stashed in a safe box. The six suspects are:- Dr. Erick Adede - Owner of the Box, Mr. Ahmed Shah - Fake Investor, Ms. Elizabeth Muthoni, Ms. Irene Wairimu Kimani, Mr. Boaz Ochich - Bank official and Mr. Charles Manzi-Bank official. The fake notes in 100 Dollar denominations were recovered from the Bank’s Safe Room. Operations at the were temporarily disrupted after police investigated the presence suspected fake currency. Later Barclays explained the police action in a tweet that said police had intercepted a customer who holds a deposit box at its Queensway branch in Nairobi this morning and were investigating its contents. The bank said it was assisting the authorities to investigate the matter fully.